Classes and riding sessions for all levels at all 8 of these NHMS dates. Am I ready for the racetrack? It's easier than you think. Before riders attend any course, they should be completely competent on the operation of a motorcycle. Basic braking, turning and acceleration should all be able to be done without conscious effort. Brand new riders should take an MSF course and gain street or dirt experience before considering the racetrack. For a more detailed explanation CLICK HERE. If you think that you might want to ride more than once, be sure to check out our Learn to Fly programs (complete details CLICK HERE). These packages are great from both a financial standpoint (saving you lots of $$) and provide many valuable benefits (discounts on products, rain insurance, crash insurance & more)! For those attending single events, there is always a discount to register online at least 10 days prior to the event. Track Experience, Basic License Certification and Advanced all explained below. The participants in the Penguin Track Experience often come expecting a regular track day, but we have organized something more. We took our basic and advanced classes and blended them into a special curriculum that focused on giving the students the tools that they needed to both improve their riding and enjoy the racetrack. The result has been some highly successful days, and student feedback has been outstanding. Instruction is led by former AMA Superbike rider Scott Greenwood. Scotty is a multi-time #1 plate holder in the LRRS series and he is always excited to bring his experience to the classroom. Testimonial: " I participated in the Track Experience last month and I have to say that Scott Greenwood was great. I've done track days with a number of organizations and I can honestly say that I learned more in my day with you than I ever have before. Thanks again, I'm looking forward to coming back again soon!" This course is for riders who want to become certified for a racing license, race at NESBC events or to have the ability to participate in racer practice days. The basic course includes our school guidebook "Basic Road Racing", classroom instruction (discussing bike preparation, riding techniques, flags, rules and track survival) and most important plenty of riding time! 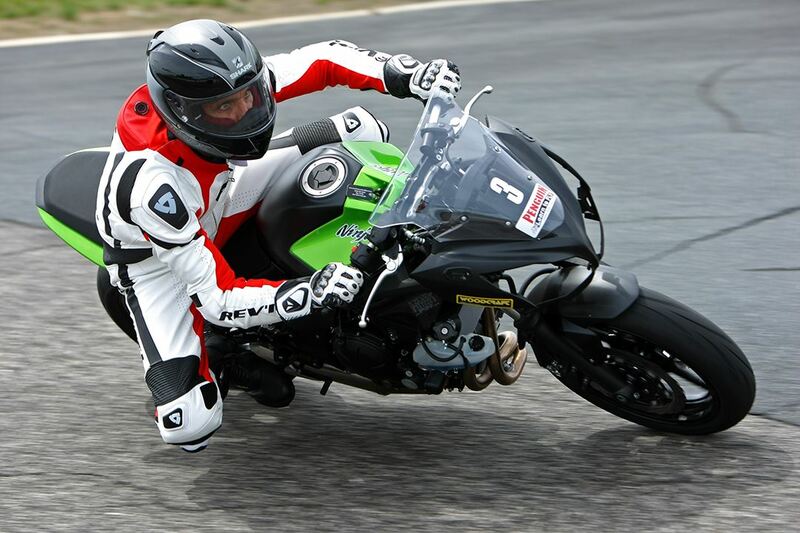 Following the classroom with former AMA Pro Superbike racer John Grush, you will be introduced to the racetrack while riding in small groups, each led by an expert instructor. Short, riding specific classes will be run between your afternoon sessions. There will be instructors available at all times to help with any questions you may have. Riders successfully completing this course will be issued a certificate that will enable you to purchase a racing license that same evening, or simply to participate in future racer practice sessions. Testimonial: "Last week I participated in the school. I just wanted to let you know that it was a great learning experience and I feel a lot more confident going around the track. You are real pro's with a great attitude, always willing to help...I will be back for the advanced school" - R.C. If you are looking to make yourself a better rider and want to attend one of the most acclaimed training classes in the country, you should attend the Advanced Course with LRRS champion and multi-time AMA race winner Eric Wood. We will lower your lap times!! 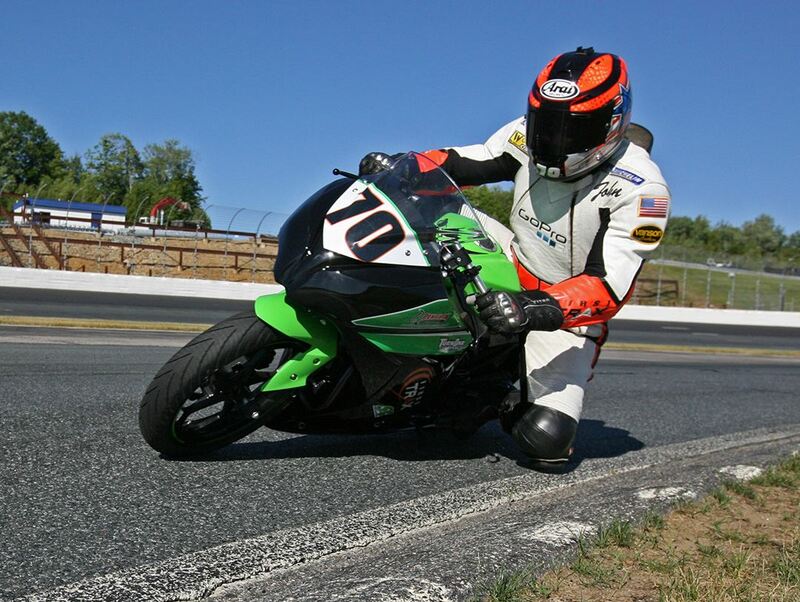 All of our advanced instructors are expert class champions who can help you with bike setup, starts, braking, cornering, race lines, and more! If you have questions, we will have answers. The advanced course includes classroom, detailed track walk, guided riding time, open practice, and individual tutoring. At many events we are able to do individual student critique not only via track-side observation, but also through photographic and video analysis. We always have instructors available in the afternoon who can ride 1 on 1 with students looking for some extra help. Licensed racers and riders who have completed the Penguin License certification course within the past 12 months. Riders get 6 sessions (barring incidents on the track that cause extensive delays) that rotate between Penguin classes throughout the day.